The apartment lies in the center of Praiano, in one of the typical old fishermen's houses, which has been recently renovated. 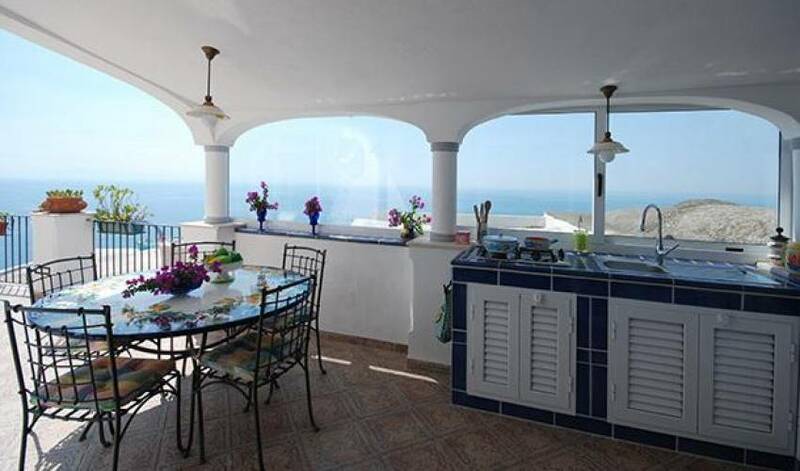 With its fine furnishings, a blend of country-style and modern pieces, it is equipped with every convenience including air-conditioning, heating, a washing-machine and television. 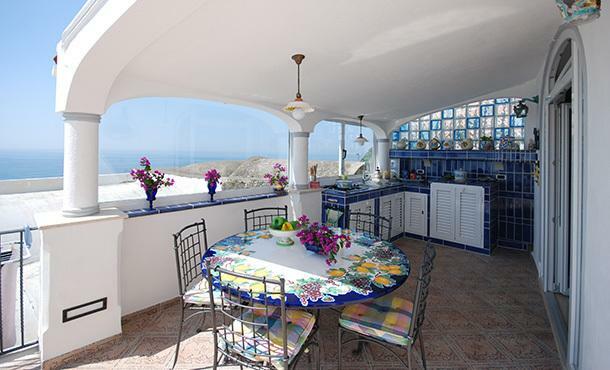 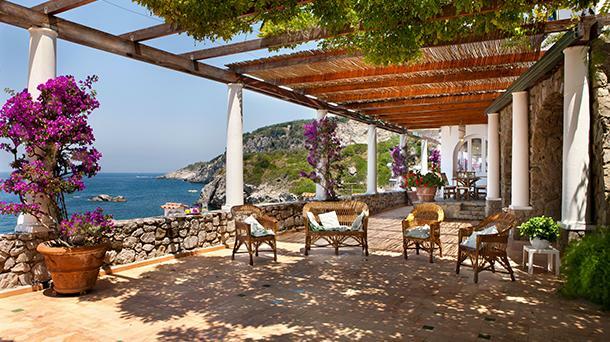 The house is partially dug in the rock and from the large terrace unfolds a charming view of the coast and the sea. 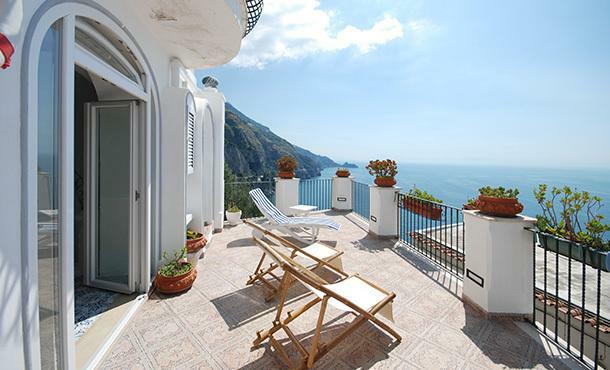 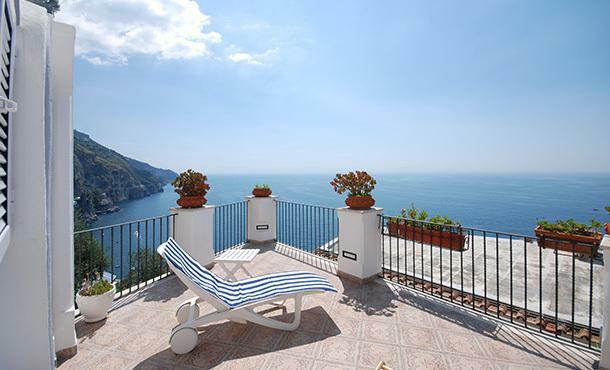 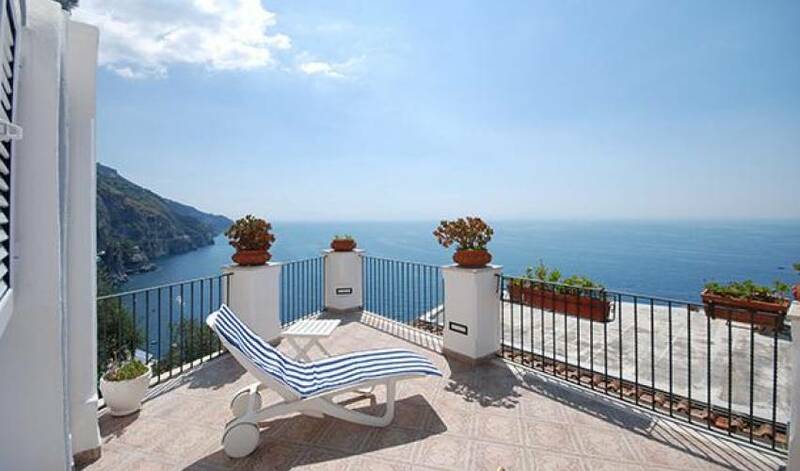 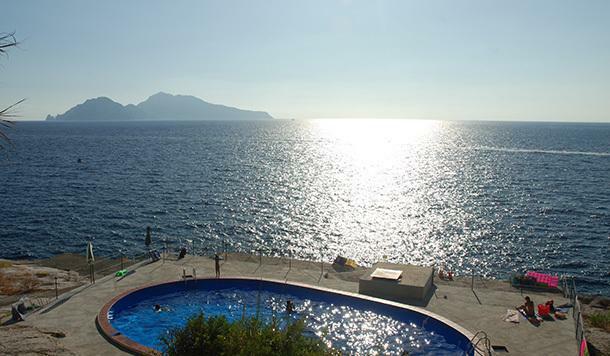 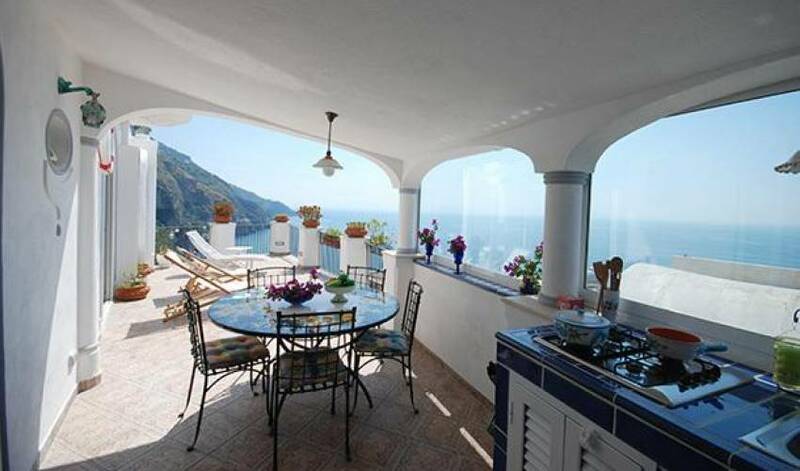 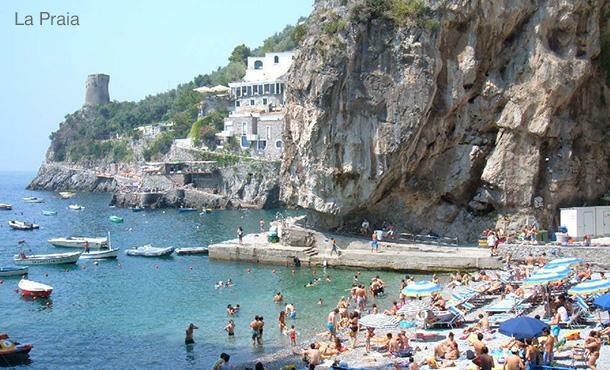 The beach of La Praia is about 500 m away, Positano about 8 km, Sorrento 30 km. 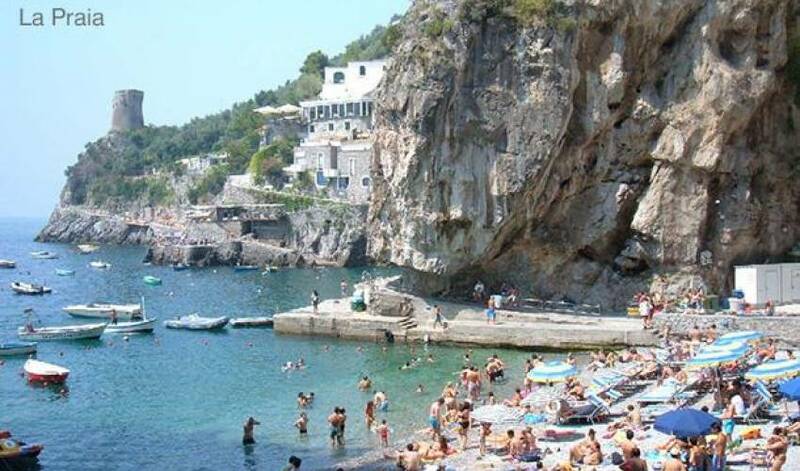 Additionally, there are numerous restaurants along the coast which can prepare the typical dishes of the area. 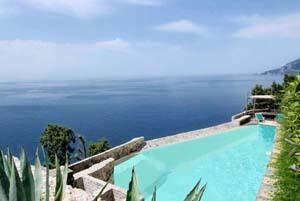 Raise floor: large living/dining-room with fireplace and kitchen, with access to terrace, 1 bathroom with WC. 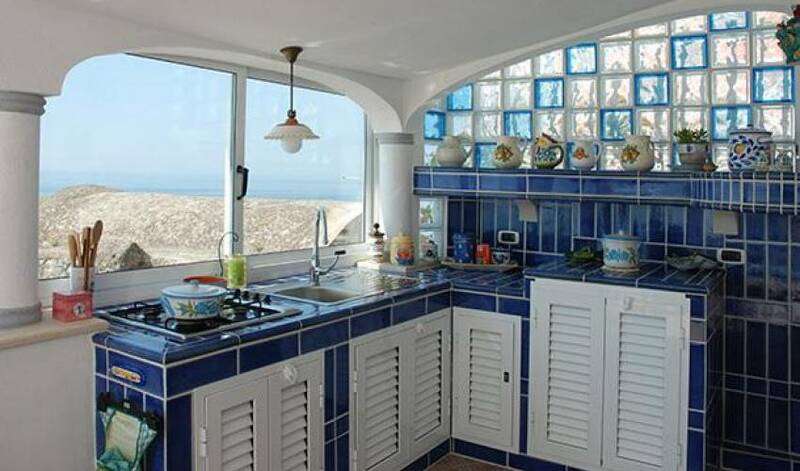 Floor below: 1 double bedroom with bathroom with shower, 1 twin bedroom, 1 bedroom with 2 bunk beds with a window towards the inside of the house, 1 bathroom with shower.